I’ve written about salvage vehicles before. And most of the time I hear about them is when someone ends up with one without quite knowing how it got into their driveway. Vehicles get salvage titles for a reason, and sometimes they even get “rebuilt salvage” titles indicating something or other. There is a lot of confusion in this area. Yes, I know there are a few guys out there who have knowingly bought salvage vehicles and gotten good deals on them. 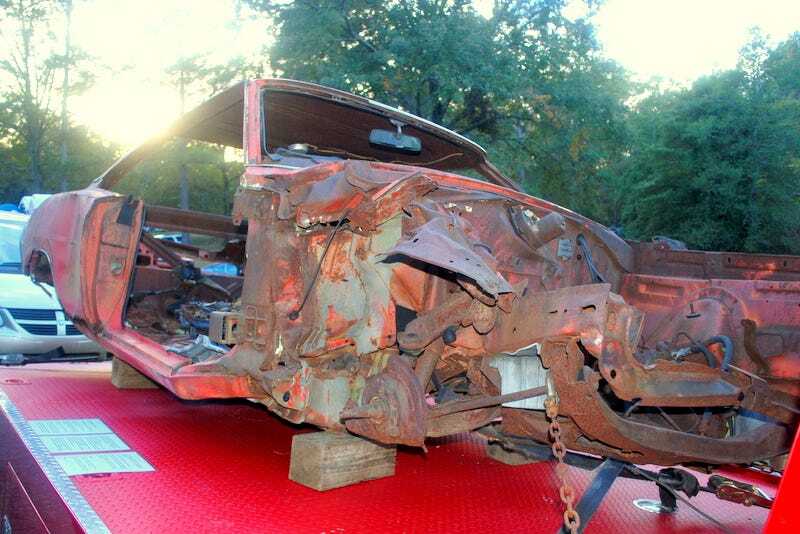 And the pic at the top is a Dodge Charger Daytona that is at about 110% salvage. I posted the other end of it a few weeks ago. And that was the pretty end.